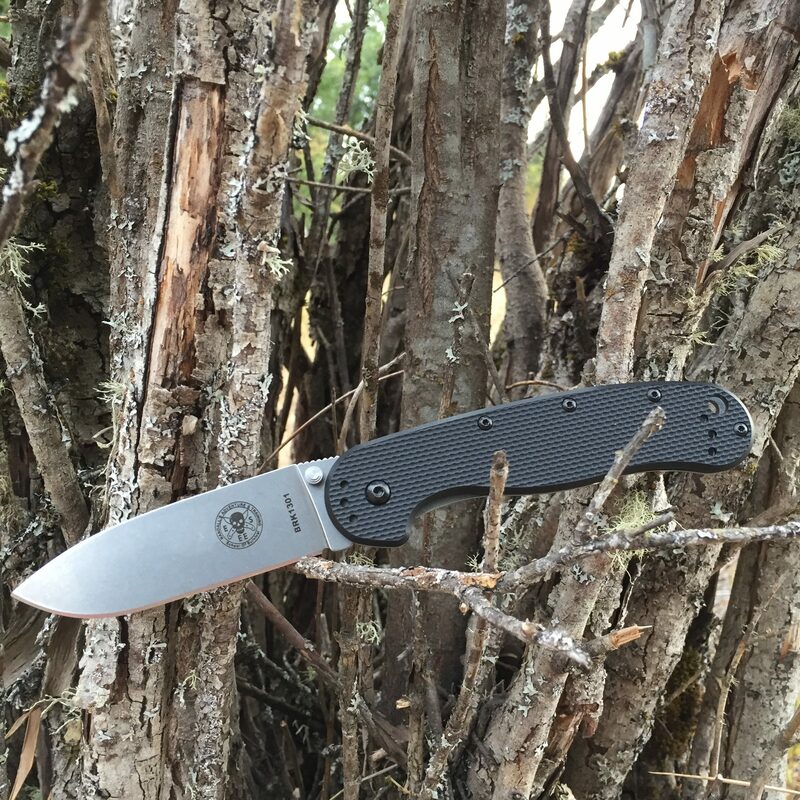 If you are a manufacturer planning to create a budget knife, pay careful attention to what ESEE has done with the Avispa and Zancudo. They’ve kept cost down by getting the important things right and careful material selection. I’ll let the cat out of the bag right up front. These knives are great. Both of these knives do a great job of getting the important things right which leads to knives with great performance and high perceived quality. It is obvious that care goes into ensuring that things like the frame lock, detent, grinds, and ergonomics are dialed in on these knives. Both knives flick open with ease. They have positive detents and smooth bronze phosphor washers paired with thumb studs that are well placed and easy to find with your thumb. My examples were smooth right out of the box and became even smoother with some use and the tiniest drop of oil on each washer. I’ve been able to handle several of these knives over the years and they all have incredibly consistent lock up. The frame lock contacts the blade tang at about 75-80% lock up. There is no blade play and plenty of room left to wear in with use. These are well executed frame locks. These knives cut extremely well! The blades on both knives feature a similar profile. They are drop points with full height flat grinds. The point drops to the center of the blade so much that this is nearly a spear point shape. They cut aggressively thanks to their thinner blade stock and excellent geometry. Both knives are offered with two steel options: D2 and AUS 8. Flip a coin. They are both good. The AUS 8 is stainless and very easy to sharpen at the cost of some edge holding performance. D2 is a carbon steel (very rust resistant compared to most carbon steels). It offers great edge holding but can be tricky for some people to sharpen. The knives are a good value with AUS 8 steel and an incredible value with D2. It is hard to find other knives with similarly high performance steels at this price. The FRN scales offers good texture without being tough on your pockets and they are available in about a million color options. 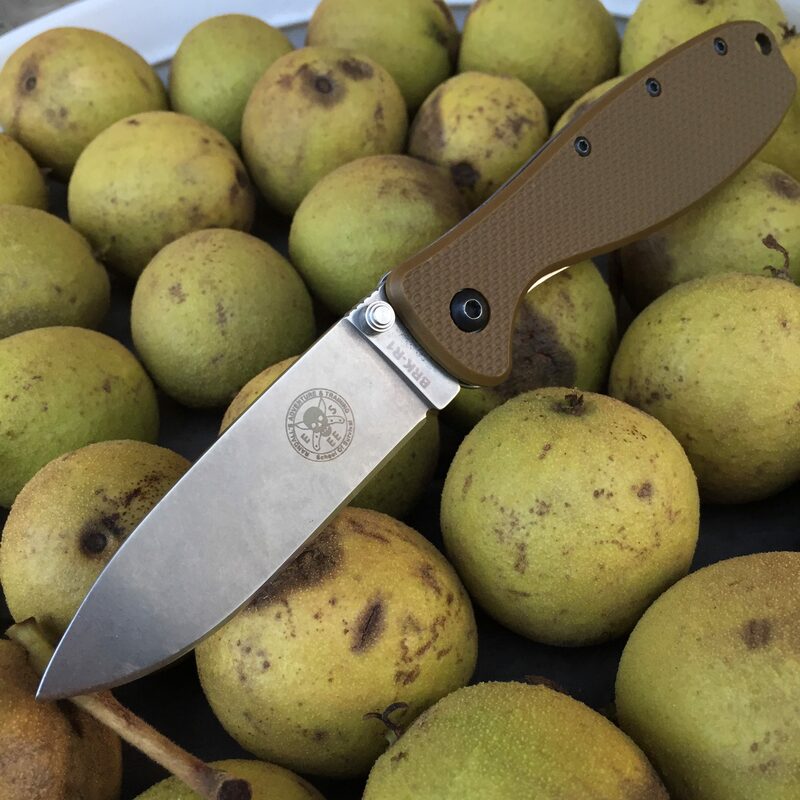 Both knives have full steel liners under the FRN scale. The liner is drilled with a series of holes to reduce weight on the Avispa. I wish the same steps were taken with the Zancudo. It could have been a truly lightweight knife. The ergonomics on both knives are great. The Avispa feels large and hand filling even though it is actually quite slim. The Zancudo is actually smaller than a Spyderco Delica in nearly every dimension yet it still manages to offer a grip that all four fingers will fit and a longer cutting edge. That is truly incredible as someone who has been carrying a Delica for more than 15 years. They fit your hand, are slim in the pocket, and are large enough to do real work. They’re good but not perfect. The FRN scales can tend to flex away from the steel liner a bit which is a little annoying. The pocket clips will ride directly on the frame lock bar if you switch them around for right pocket tip up carry which can make one handed closing difficult (though still doable). Those are pretty minor gripes considering that even the D2 version of this knife comes in at well under $40. The ESEE Avispa and Zancudo may lack gimmicks, flash, and pretense. However, they more than make up for it with cutting performance, ergonomics, and value. There is no doubt. These knives are BARGAINS. Amazingly, the D2 version of these knives tends to cost only $4-5 more than the AUS 8 version and they are still less than $40. If you are feeling flushed with cash, there are D2 and Carbon Fiber options that still come in under $50!